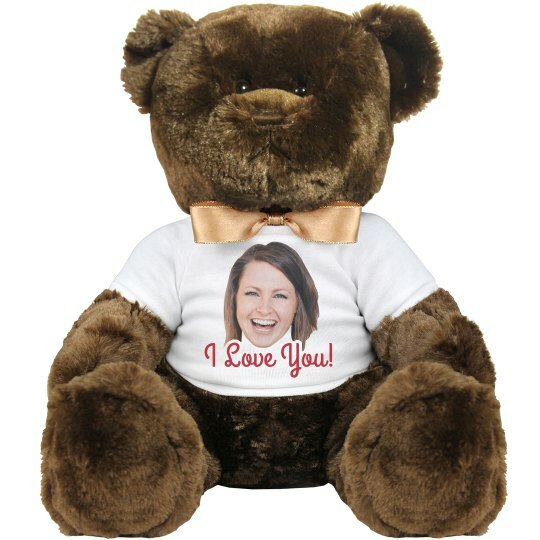 Show the love of your life you care about them with a personalized cuddly bear! Upload your face to the shirt so they can always have a piece of you with them wherever they go. This is also a great idea for simple reminders that you love them. No holiday or occasion required! Custom Text: I Love You!